Five Tips for Filing a Business Insurance Claim After a Fire | The Voss Law Firm, P.C. Attorney Bill Voss has experience working with large businesses, both in Texas and around the world, to guide them through difficult insurance claims after fires. 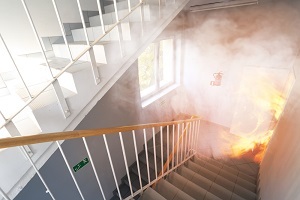 Over and over again, he has seen just how complicated these claims can become and how many steps policyholders must go through after filing an insurance claim for the damage if they hope to recover what their fire insurance claims are worth. Document losses in photos. Photographs are a fast and simple way to begin documenting losses, and they serve as an excellent reference of the fresh damage before any changes have been made. Remember, even if you take photographs or perform temporary repairs, don’t throw away any damaged property until you’re certain the insurance company will not need to see it in person. Get bids from several contractors. Although you may choose to work with your usual contractors after a fire, getting bids from several service providers can help you find the right fit when it comes time for repairs, as well as give you a good idea of how much your fire insurance claim might be worth. Make necessary temporary repairs. Fire insurance claims often take time to resolve, so make temporary repairs to mitigate further damages. Be sure you retain documentation of the materials used and the costs. However, don’t be tempted to start making headway on permanent repairs until you’ve gotten the okay from your insurer. Monitor the progress of your fire insurance claim. Good planning and organization on your end can make a big difference in how easy it ultimately is to resolve your fire insurance claim. Keep detailed records together, and plan for regular follow-up calls with the insurance company to check on the progress. Always report burglary or vandalism to the police. Fire-damaged commercial properties are often targets for property crime. As soon as you notice that something has been stolen or the property has been vandalized, you should contact the police. After reporting the crime to police, you should contact your insurance company. Fires are a costly peril for businesses of all kinds, and care is required to maximize insurance claims and move on after a disaster. If you are having trouble with a fire insurance claim that has been delayed, disputed, denied, or underpaid, contact the experienced attorneys with the Voss Law Firm today at 1-888-614-7730 with your questions.